The head of the Valencia circuit which will host the European Grand Prix later this month has said anyone who can make money from a Formula One race deserves "the Nobel Prize for economics". 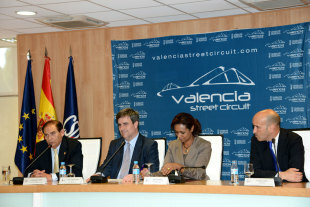 Gonzalo Gobert, who took over as director of the circuit earlier this year, told Marca newspaper that while the event brought in considerable financial benefit to the region, hosting a European Grand Prix six weeks after the Spanish Grand Prix made no sense, adding that figures for Valencia "were not good" and that cost-cutting measures were being looked at. "Man, you gotta have a balance and we are reducing budget where we can." He advocated the plan, backed by Bernie Ecclestone, to alternate one race between Valencia and Barcelona so each staged a grand prix every other year. 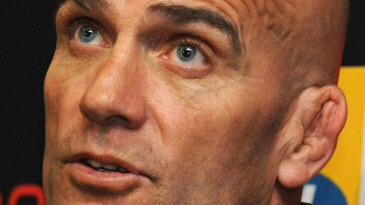 "Two races for Spain is meaningless. Like everything, you have to rationalise." With Spain's massive financial problems, Gobert said that the success of Fernando Alonso was key to the success of the European Grand Prix. "It is essential for ticket sales It is a phenomenon and really helping us a lot with ticket sales. The man has helped us a lot but 65% of ticket sales are from outside the country." He added with a smile that the best result would be a podium of Alonso, Lewis Hamilton and Sebastian Vettel. "A Spaniard, a German, an Englishman or a Frenchman. We also have the option of Grosjean. The four large nearby markets."